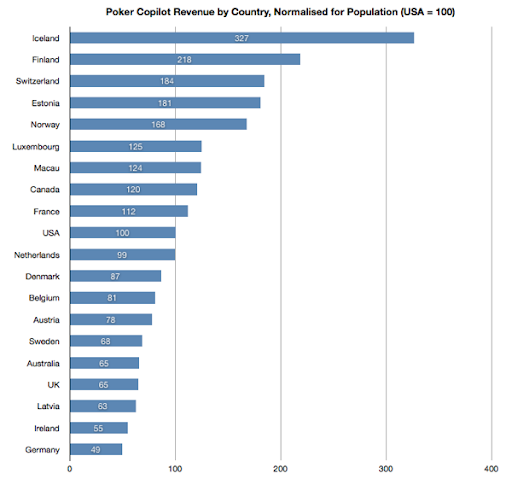 In Which Countries do Poker Copilot Customers Live? Almost 50% of my customers are from the USA. 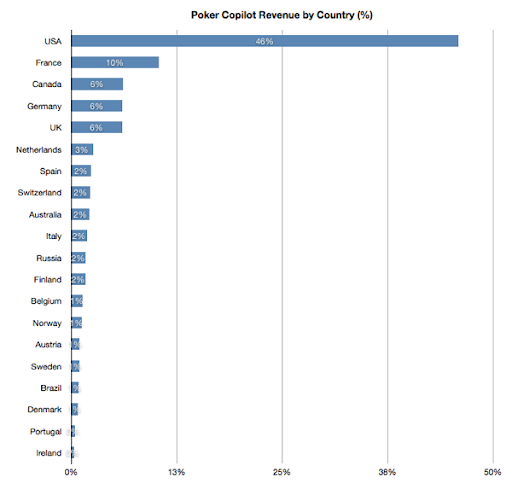 France, Germany, Canada, and UK all contribute significant numbers. Together with Netherlands, Spain, Switzerland, Australia, Italy, Russia, Finland, and Belgium, these 13 countries account for 90% of my sales. Now I feel the Poker Copilot love coming from Europe!